Alpha Lambda Delta focuses on academic scholarship, leadership, and community service. Awarding over $210,000 in scholarship money to its members each year, ALD strives to support and encourage its members to be the best they can be on their campuses, in their careers, and across the globe. Read about our members' achievements, scholarships, and chapter activities. ALD Welcomes 8 New Chapters! 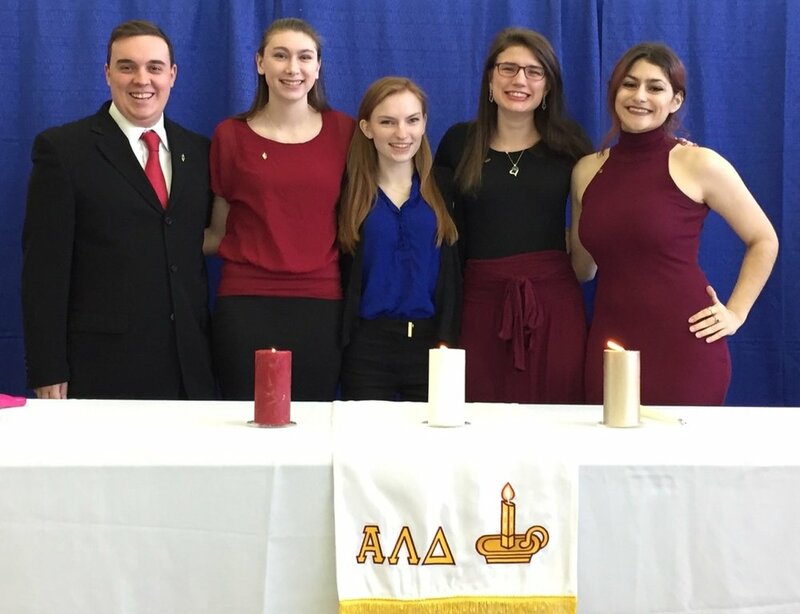 Alpha Lambda Delta installed a new chapter at Governors State University in the fall. This spring we are installing chapters at Campbellsville University, Chicago State University, Georgia Gwinett College, Missouri Valley College, Mount St. Joseph University, Utica College, and Westfield State University. In the past, our National Service Project was held at our annual National Leadership Conference in the Fall. Though we were able to have a great impact on the host city, we realized there were many chapters and members that could not participate because they were not attending the conference. This year, we are launching a new National Service Project. It allows all chapters to be involved, and it helps you give back to YOUR community. Click here to learn more.